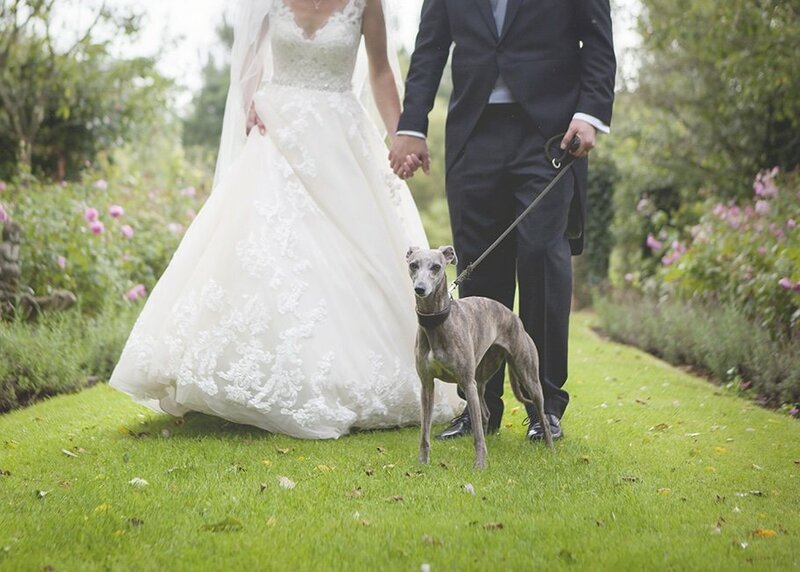 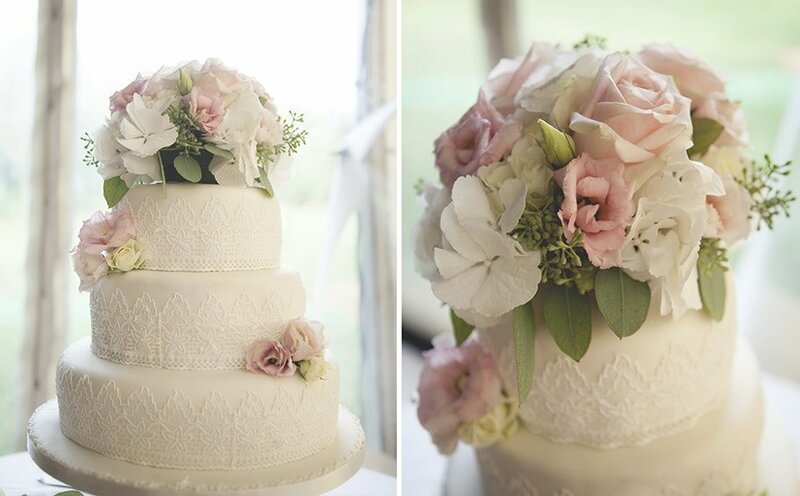 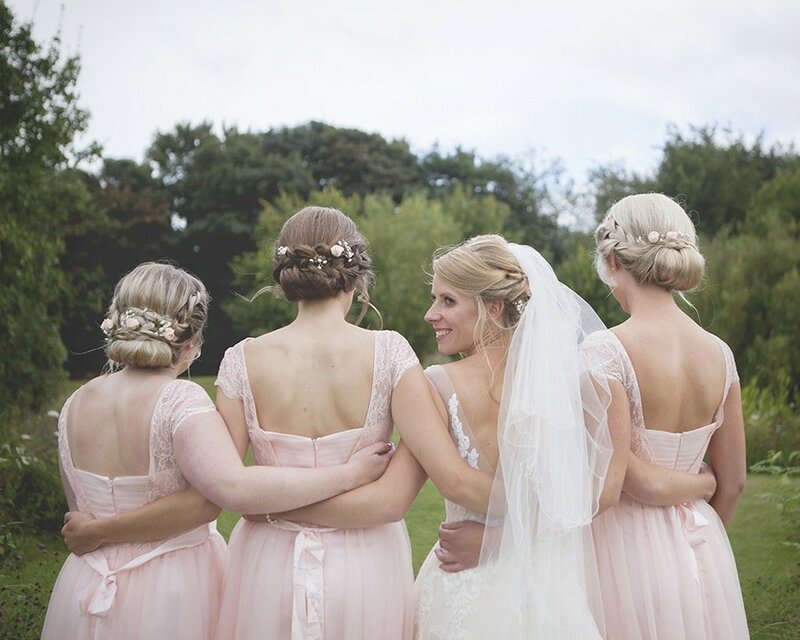 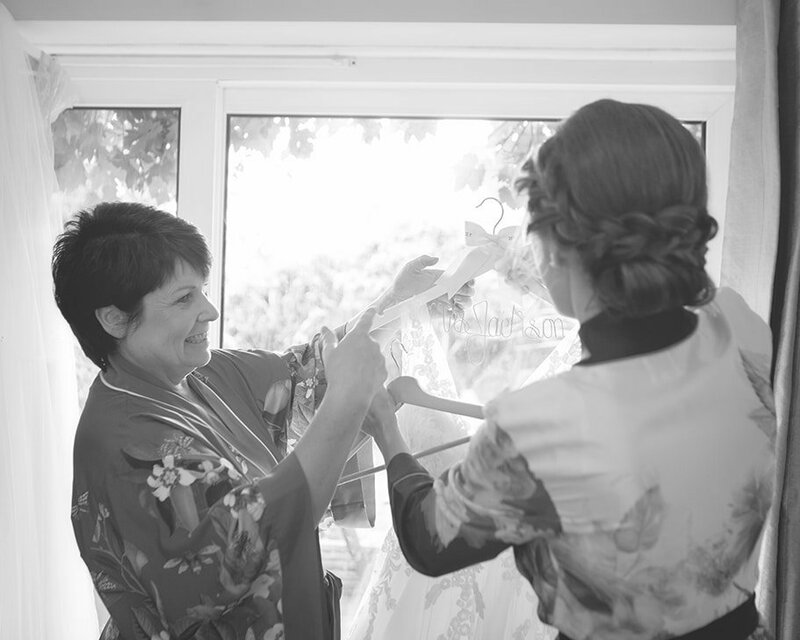 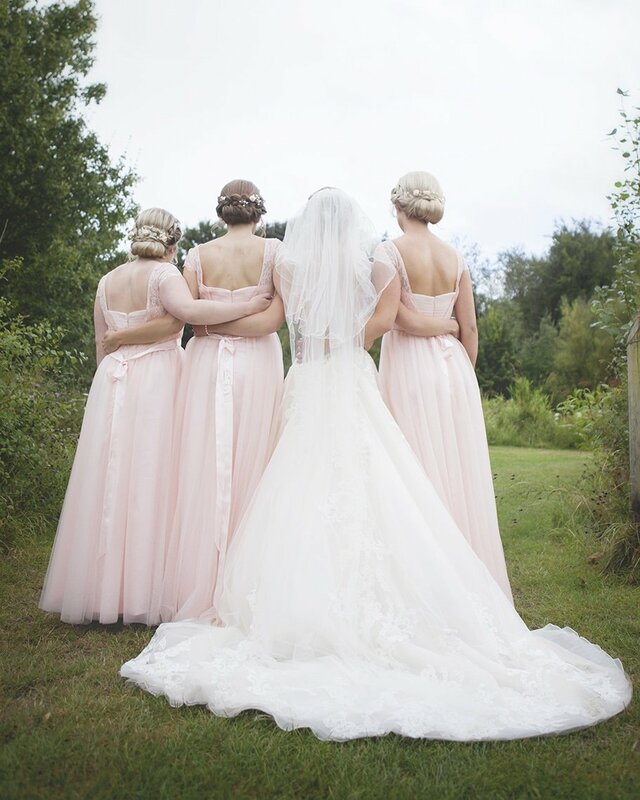 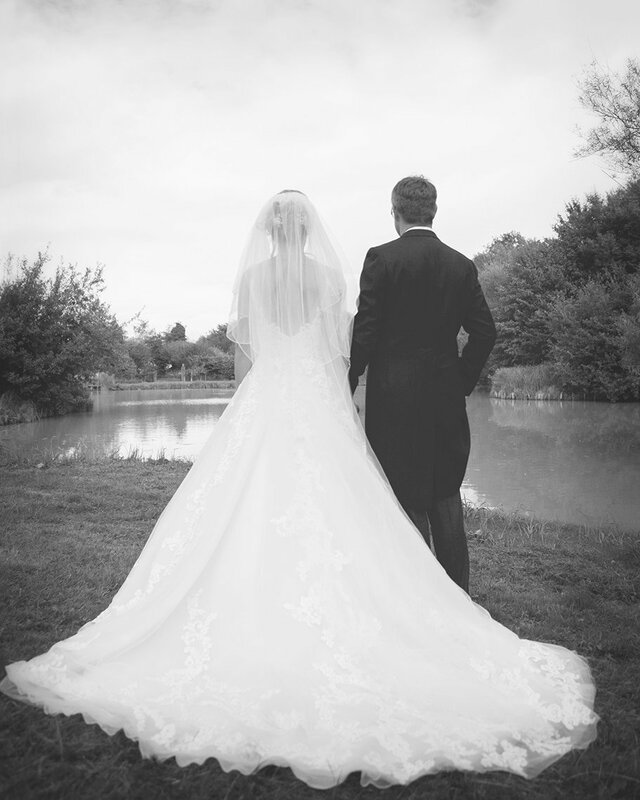 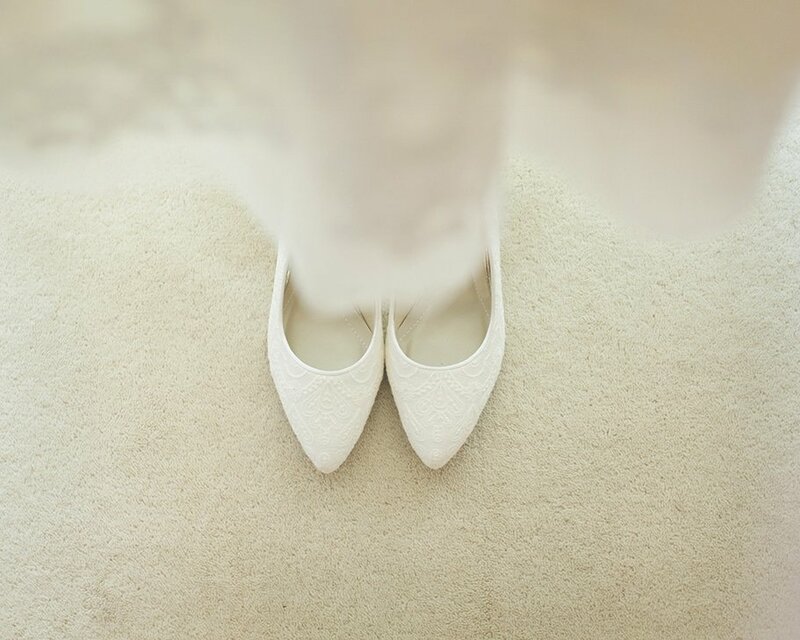 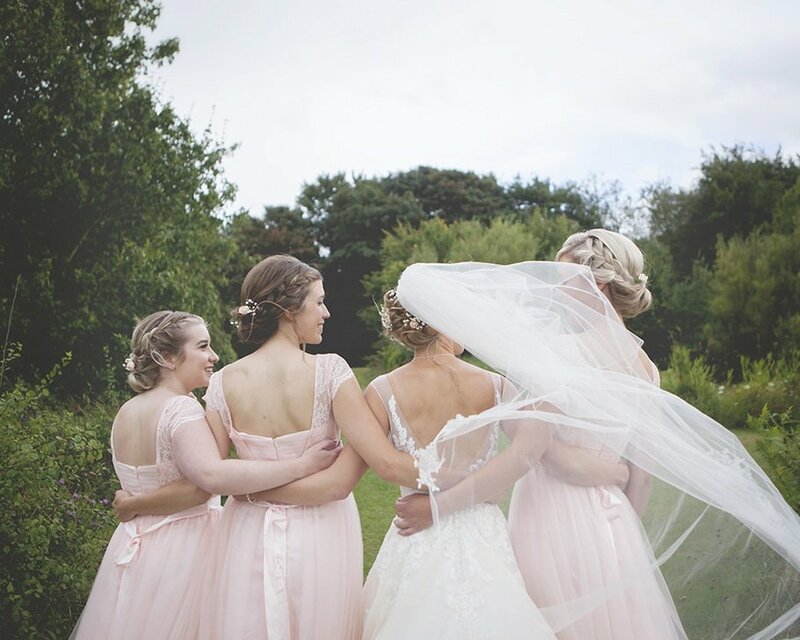 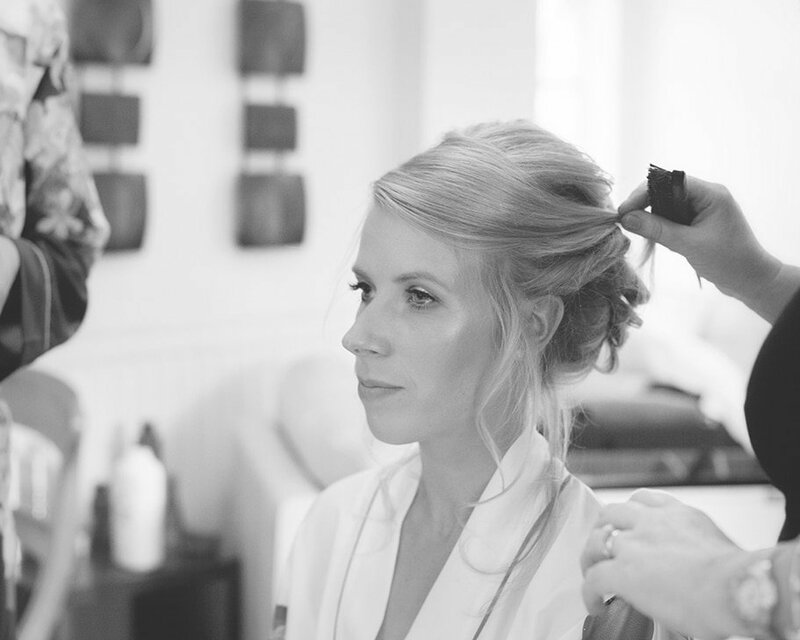 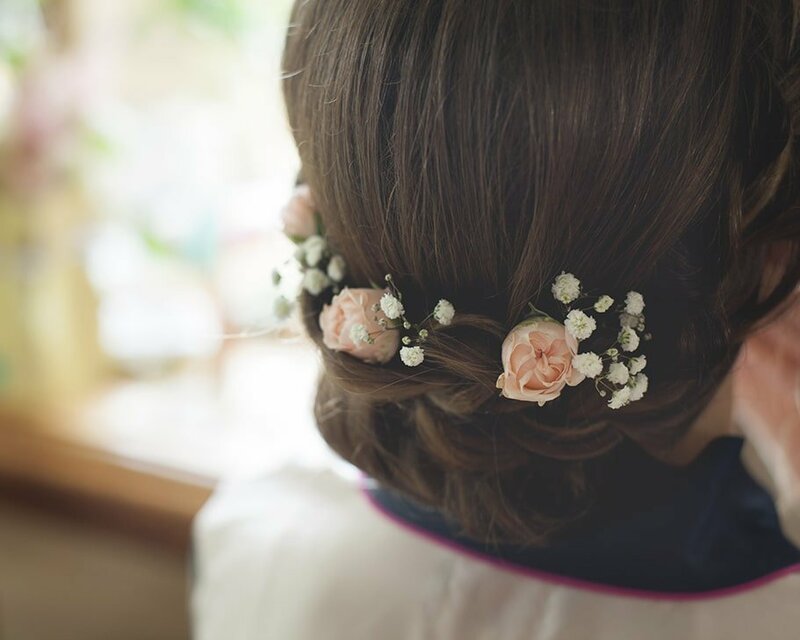 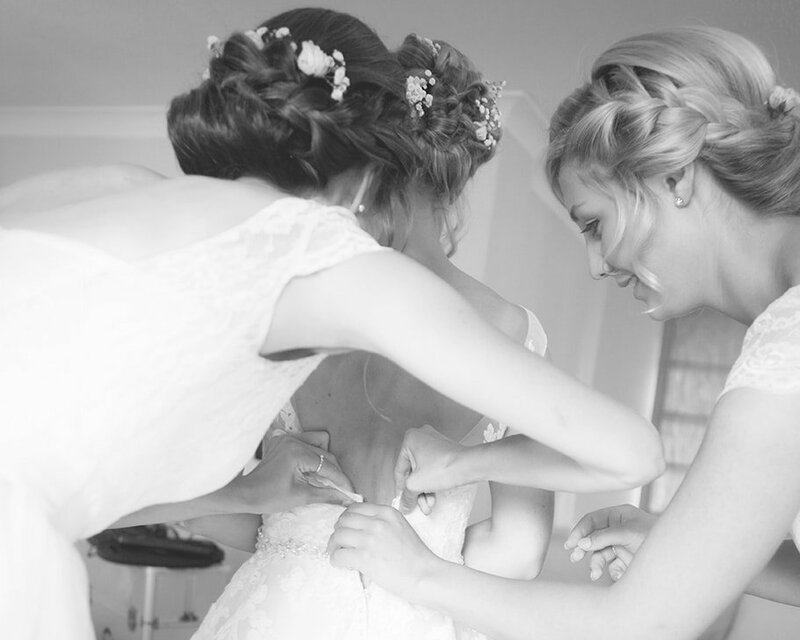 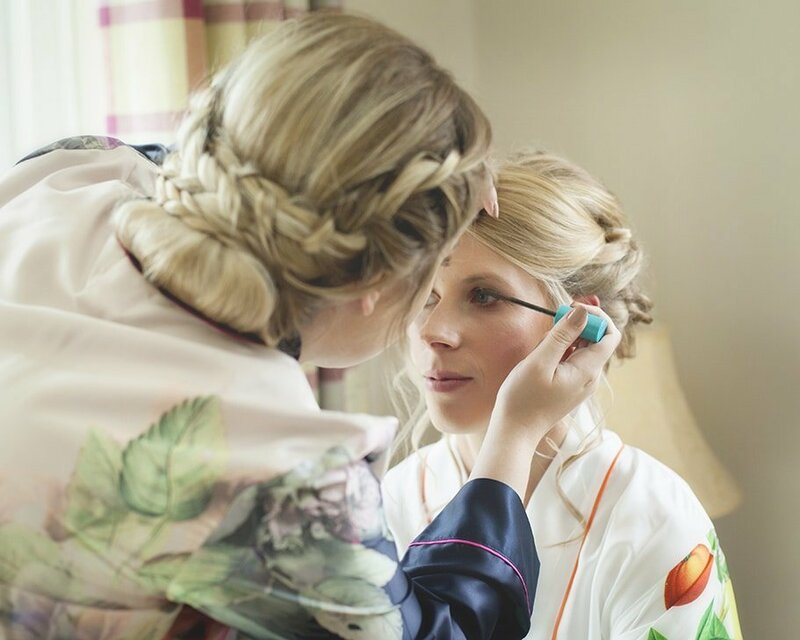 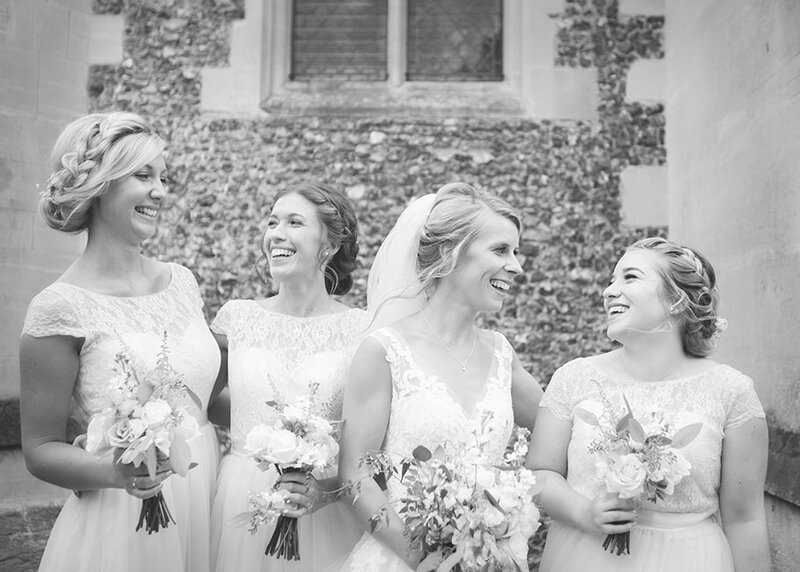 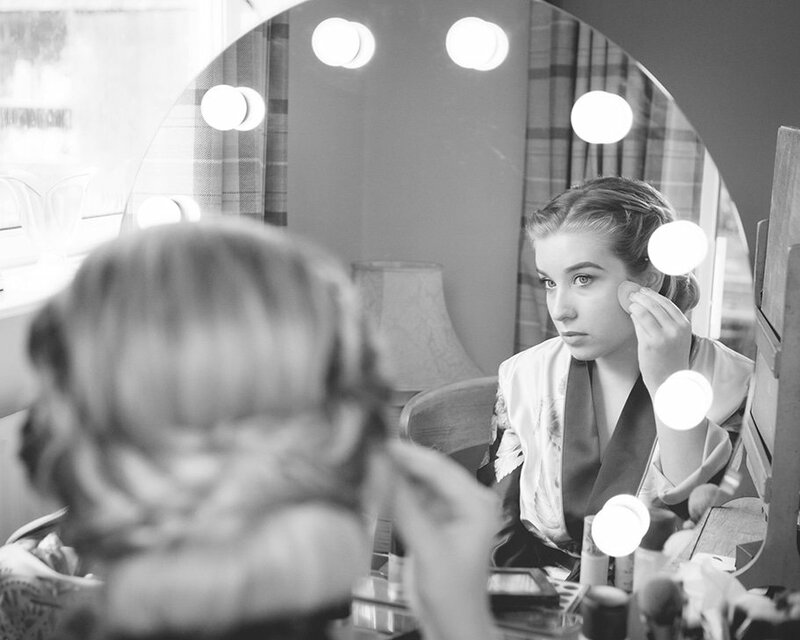 Sophie & Ed’s Hertfordshire country farm wedding was a wonderful country affair. 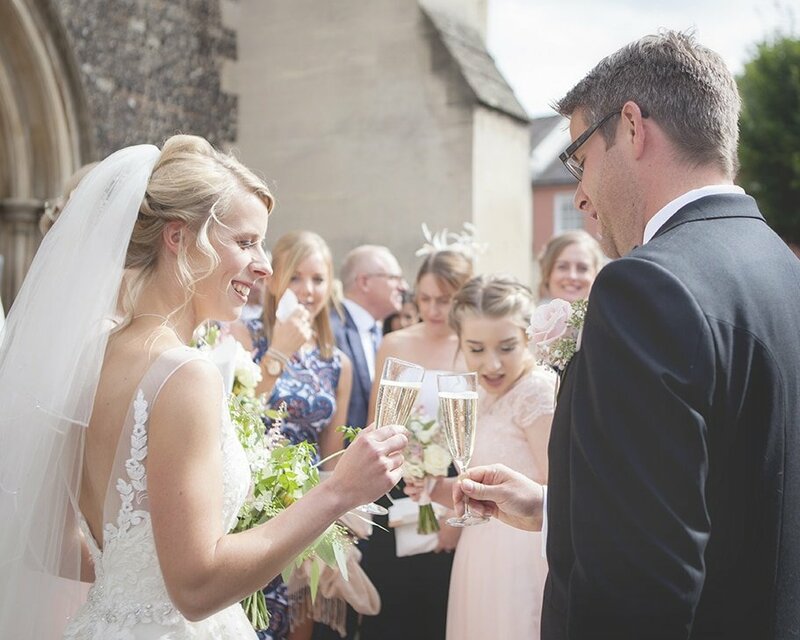 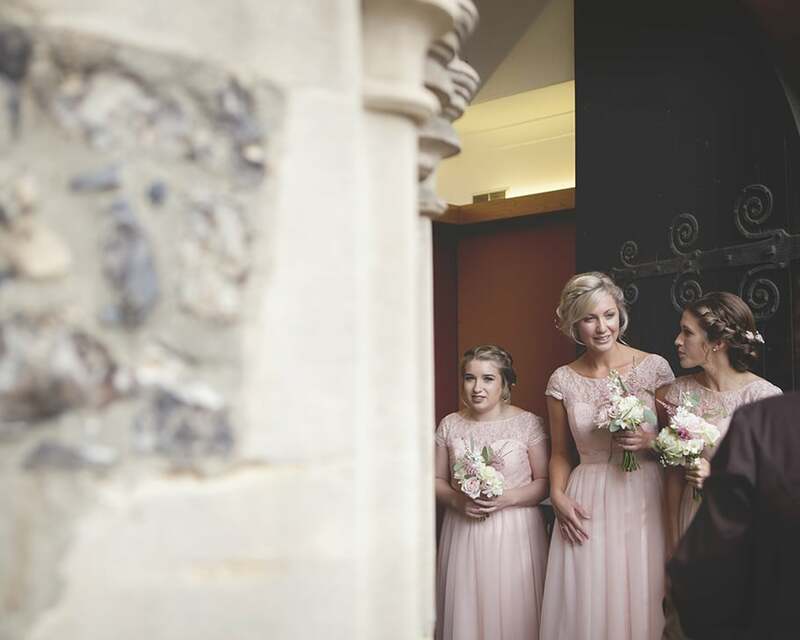 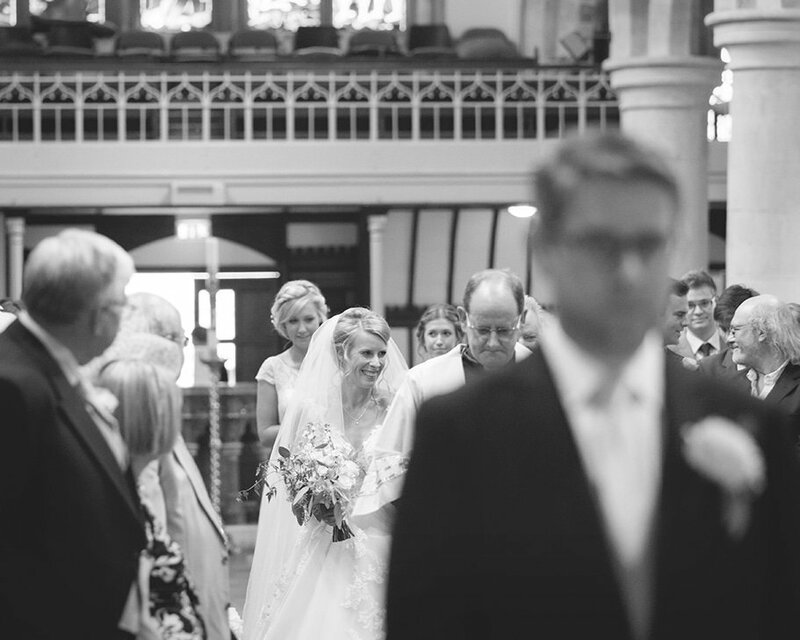 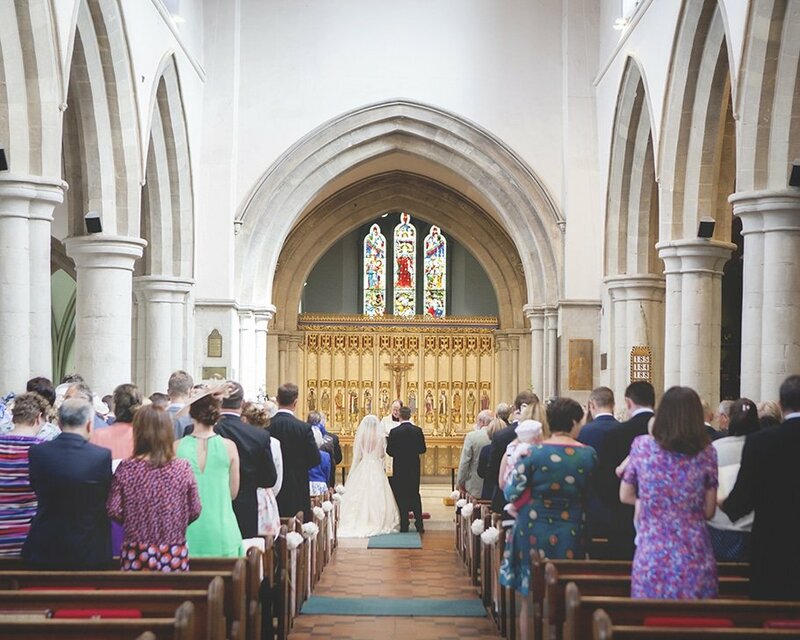 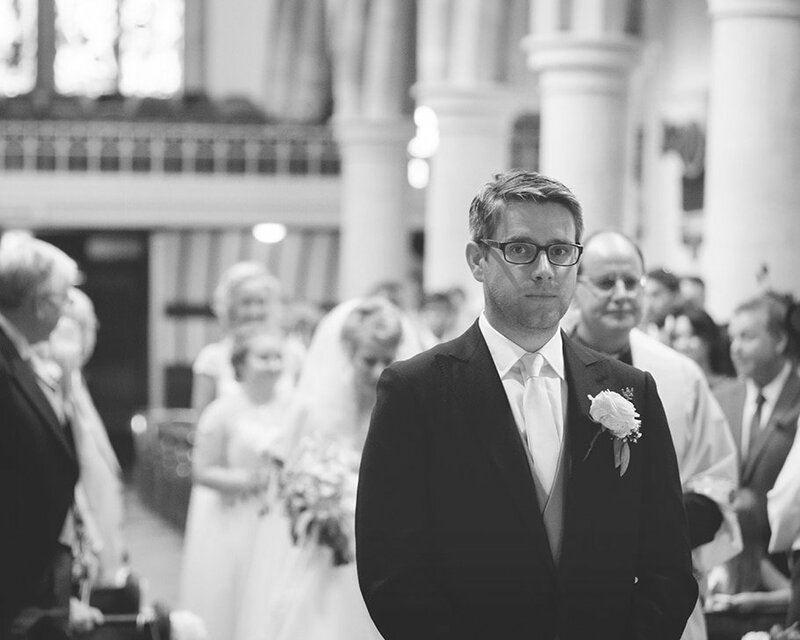 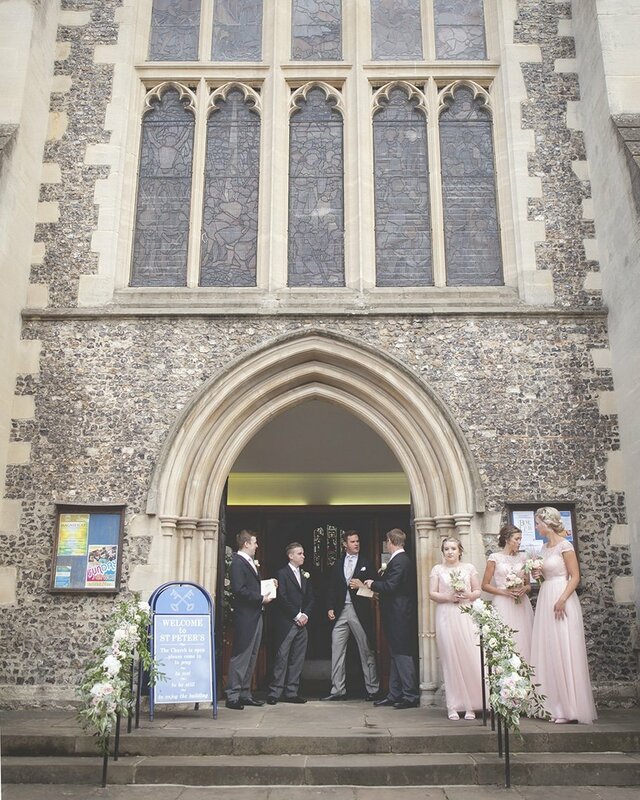 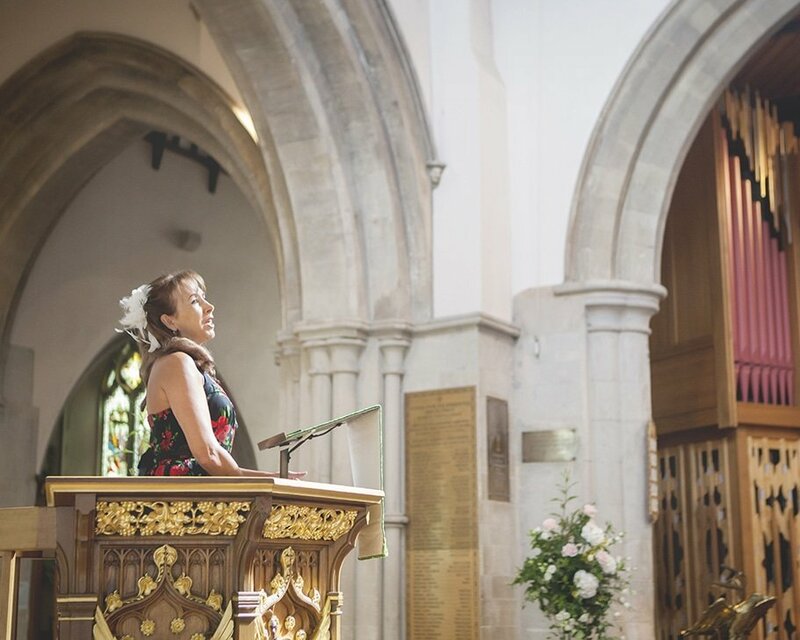 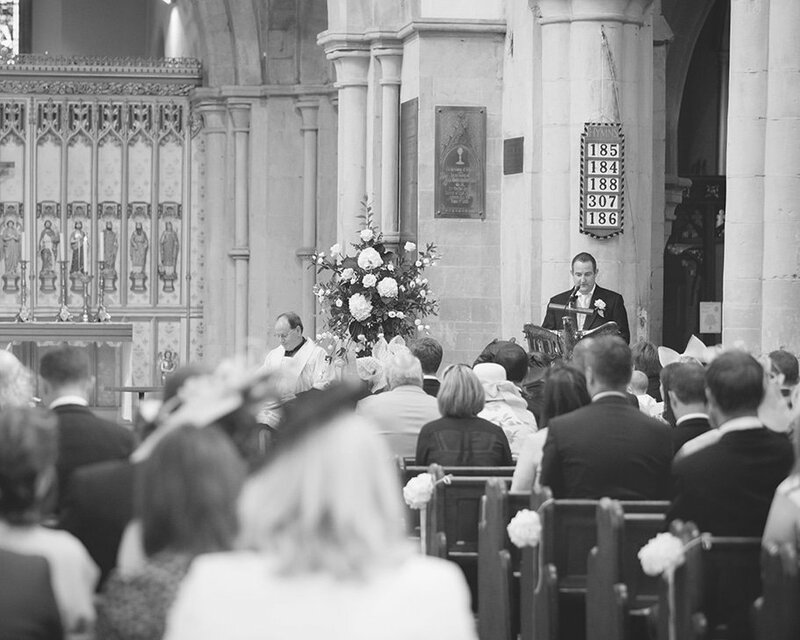 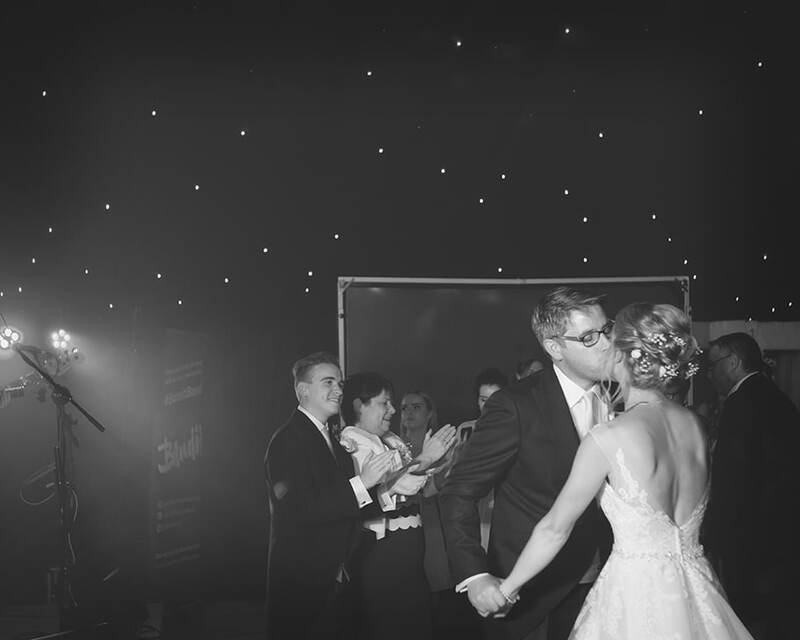 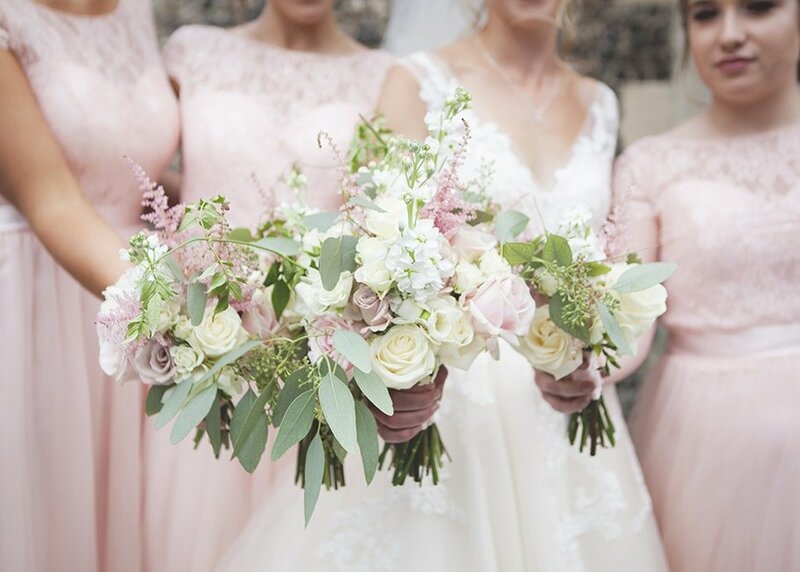 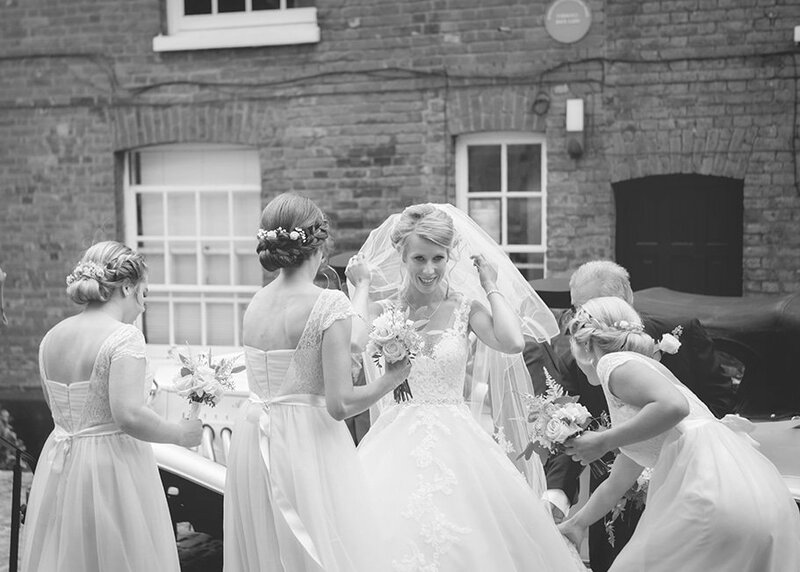 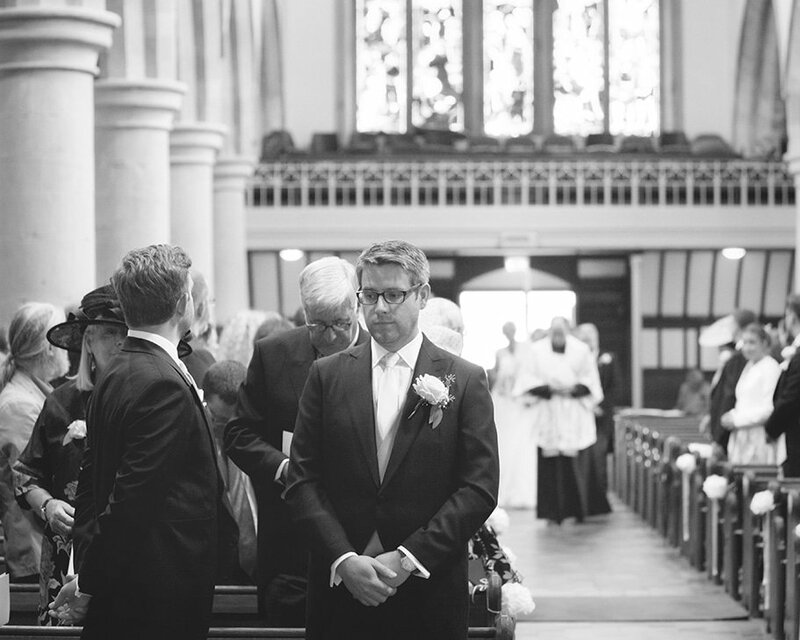 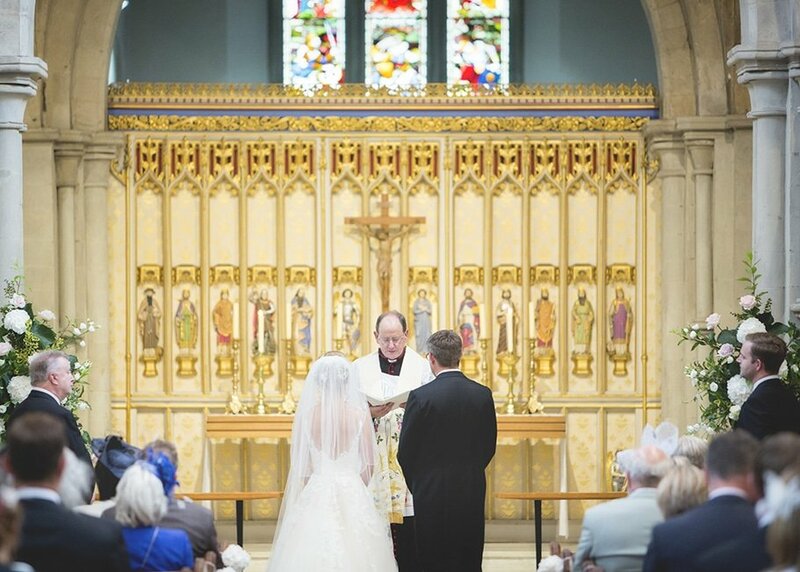 The ceremony took place in the historic town of Berkhamsted at the breath taking St Peter’s church. 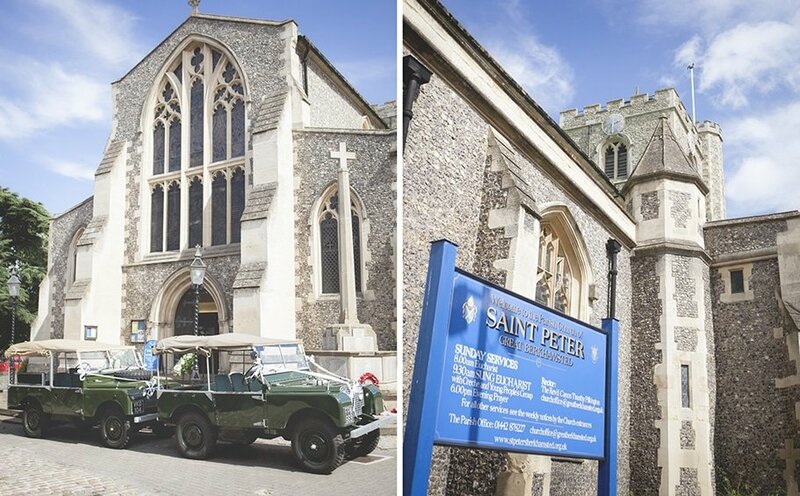 This church was the venue for the Queen’s visit earlier in the year and it certainly is a grand building, perfectly matched to Sophie and Ed’s style. 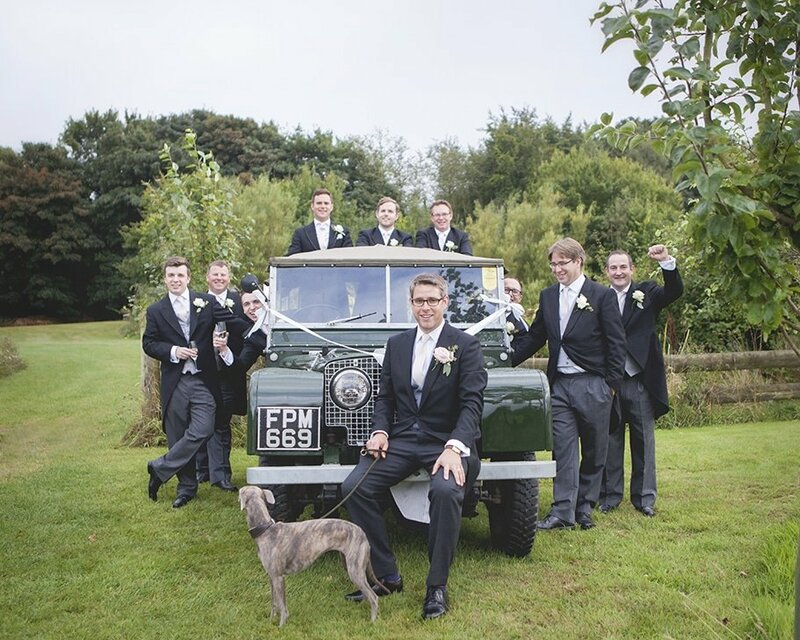 Ed and his groomsmen arrived at the church in two vintage family Landrovers. 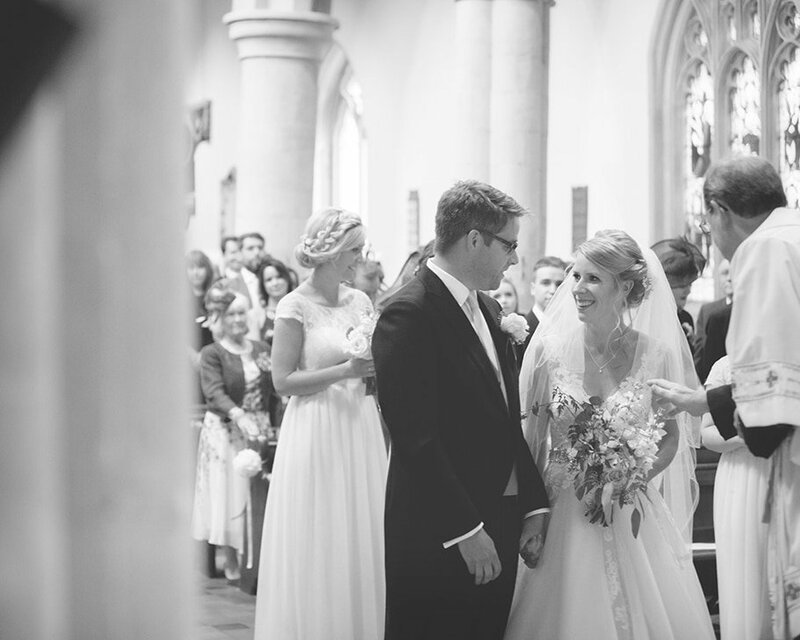 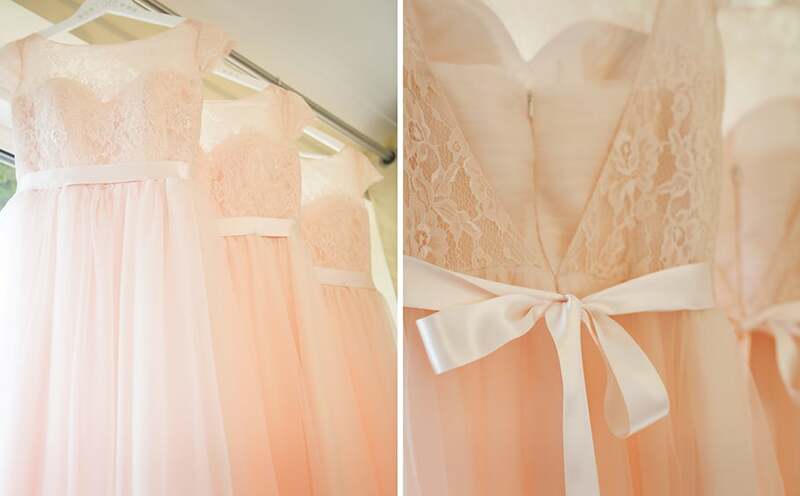 They were beautifully dressed for the wedding with ribbon, a spectacle for guests and passers-by. 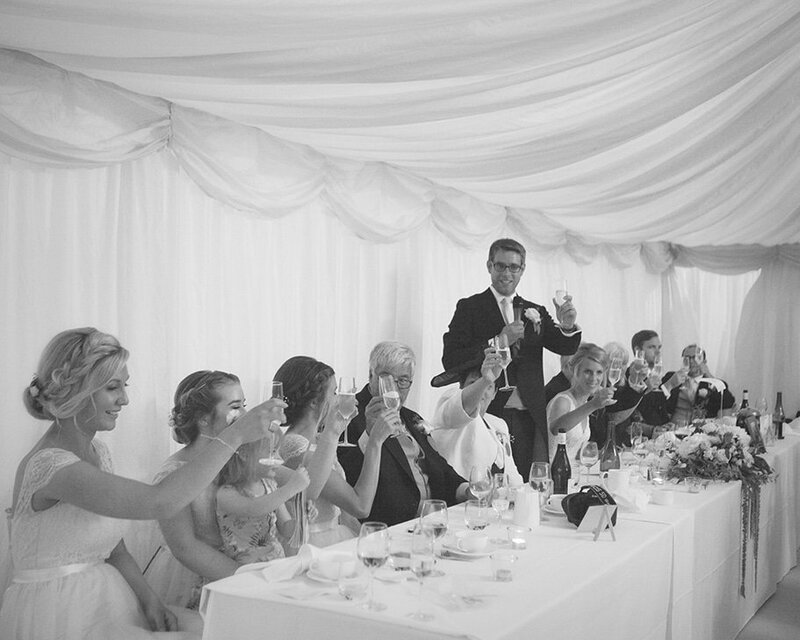 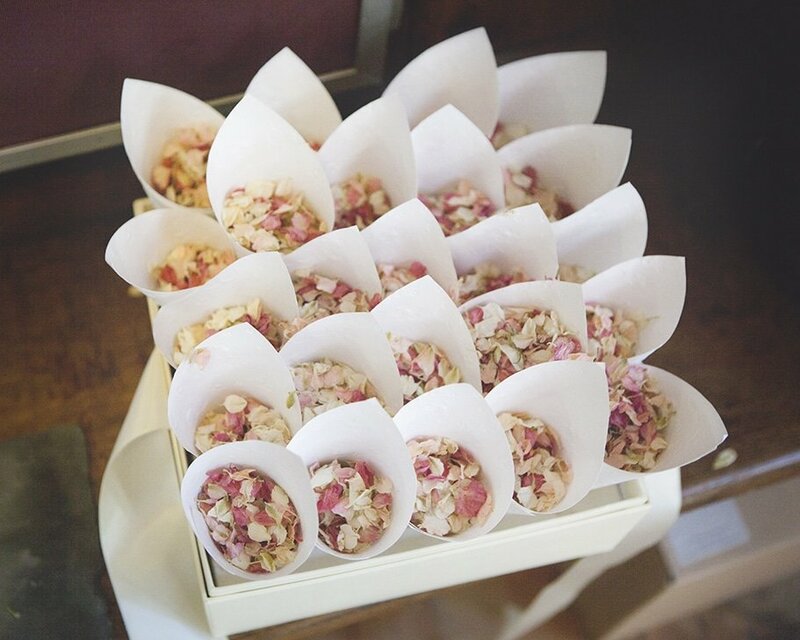 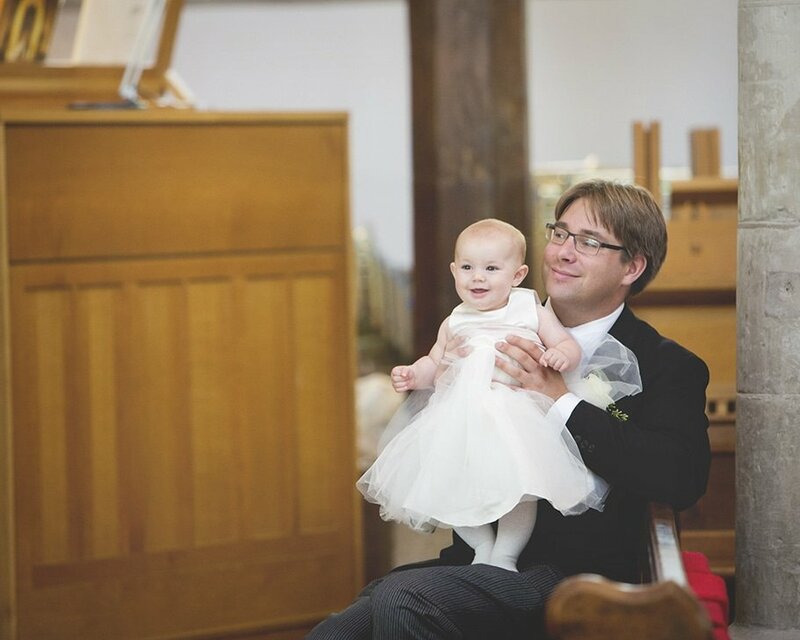 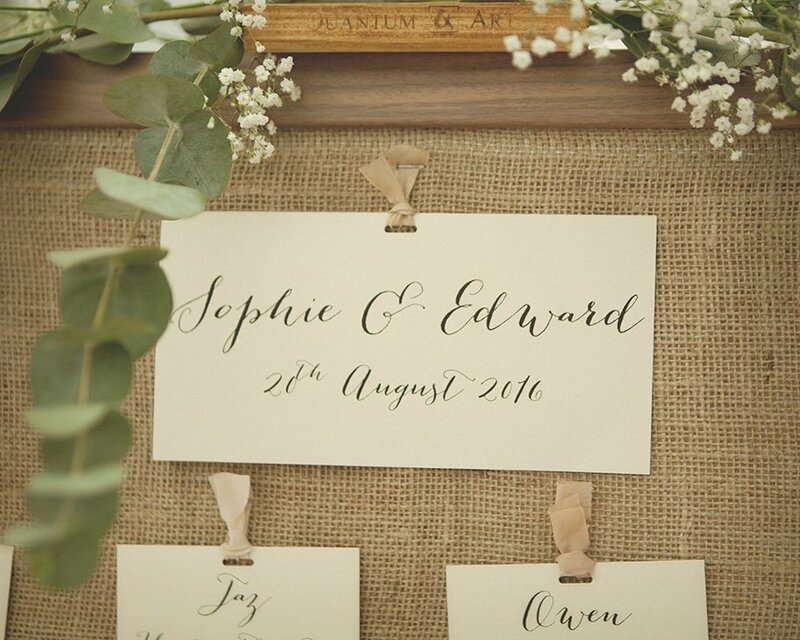 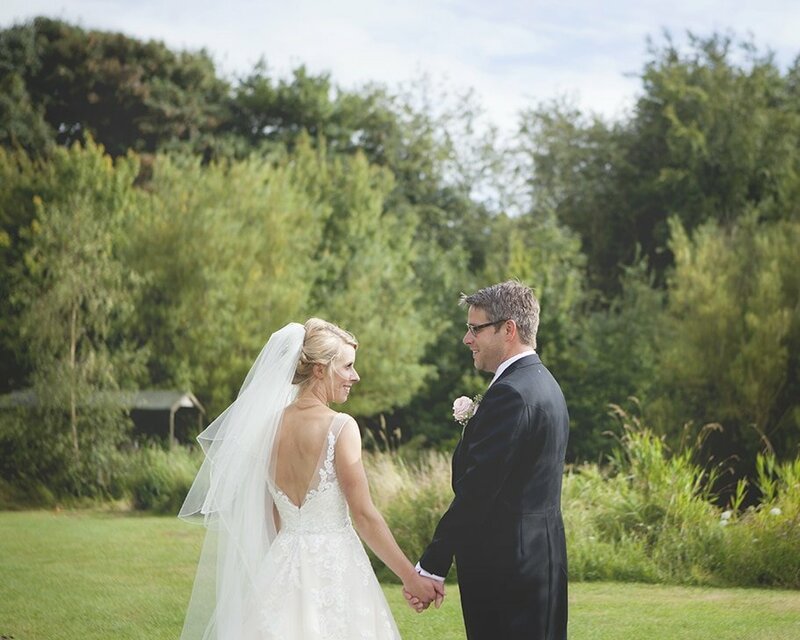 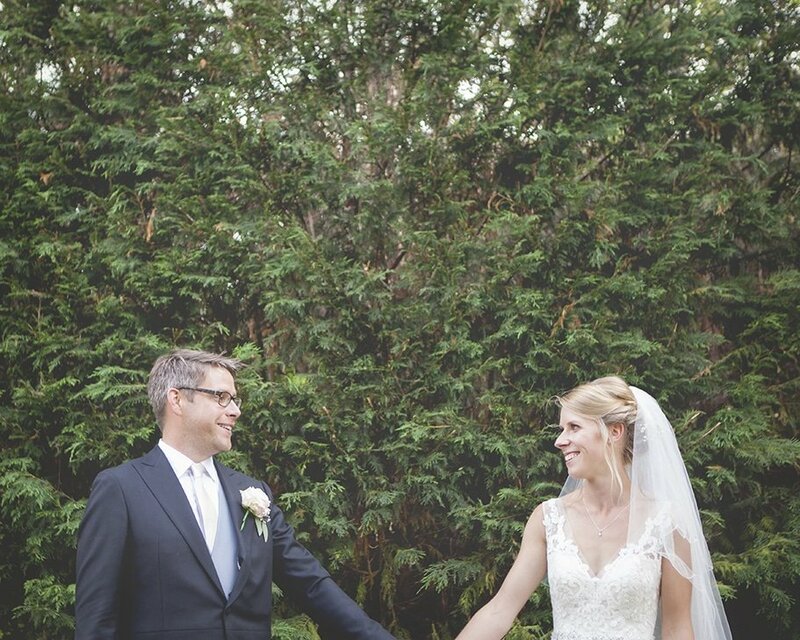 The reception was held at Ed’s family farm not far from Berkhamsted. 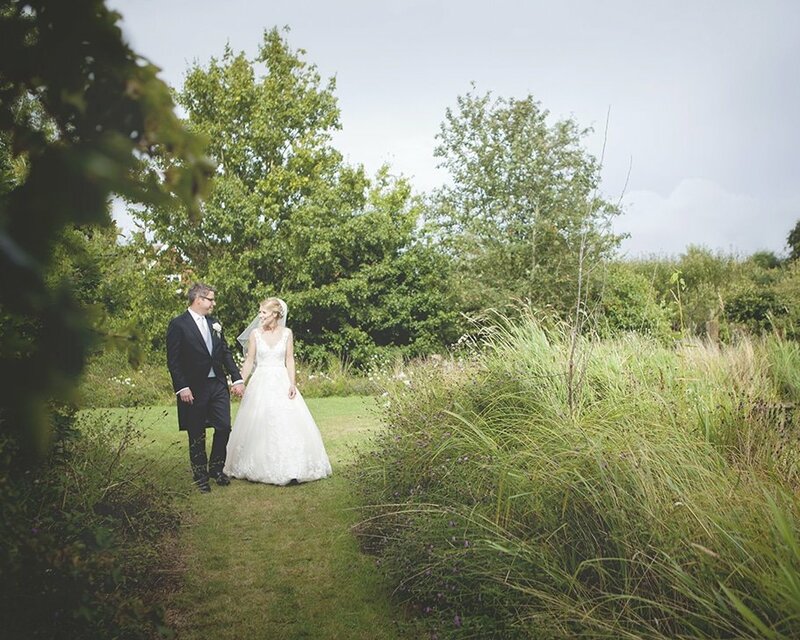 A dream location for me, so many beautiful spots for photos. 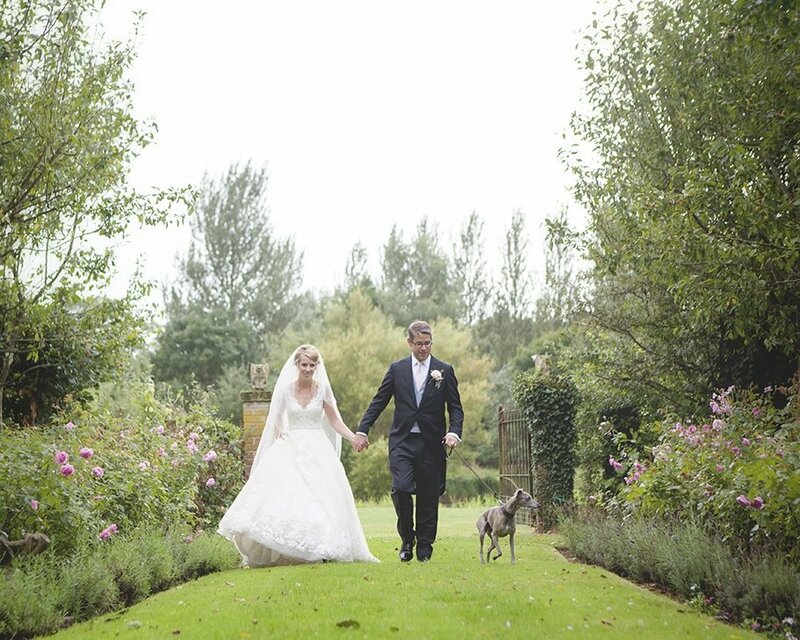 There was plenty of space and a beautiful lake within the grounds for perfect country farm style photography. 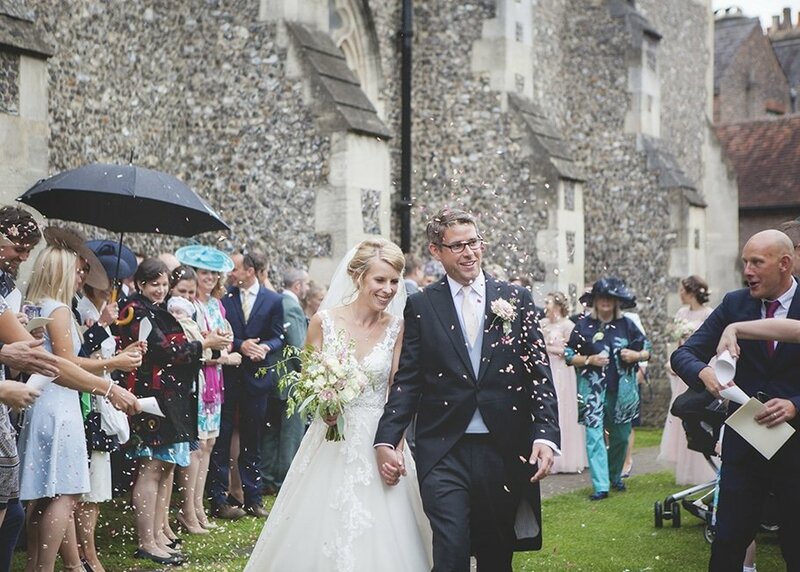 We did have a few spots of rain throughout the day but as always with the British weather it was ever changing. 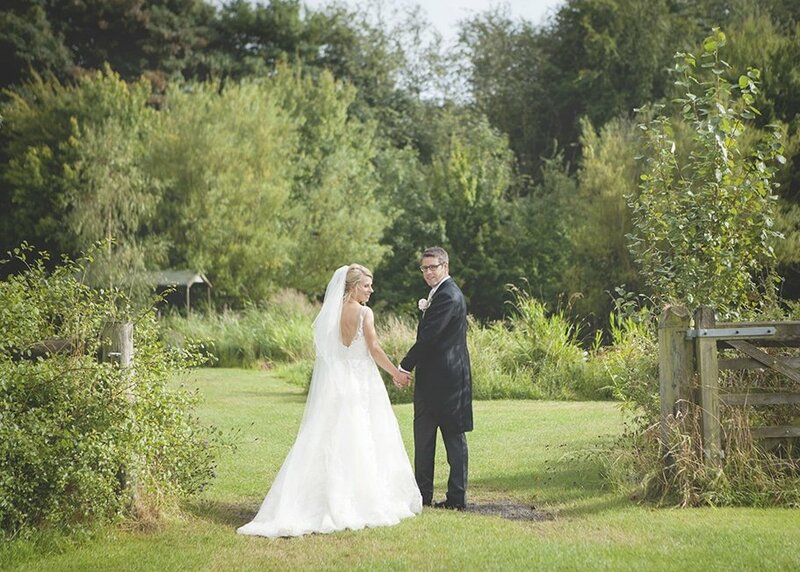 We had a perfect hour of sun for Sophie & Ed’s couple shots, you couldn’t ask for more than that. 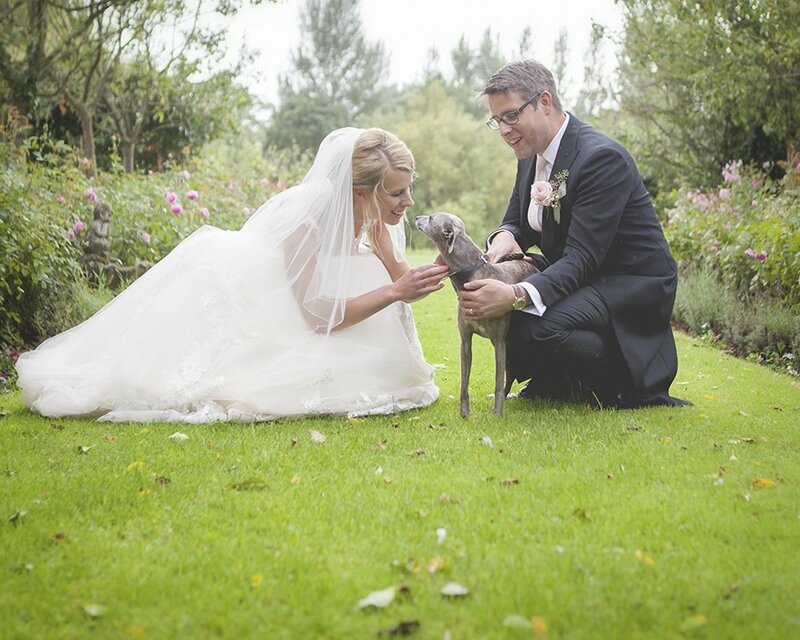 While the sun continued to shine we took full advantage and got some adorable photos of Sophie & Ed with their dog Fern, who was very well behaved for the camera. 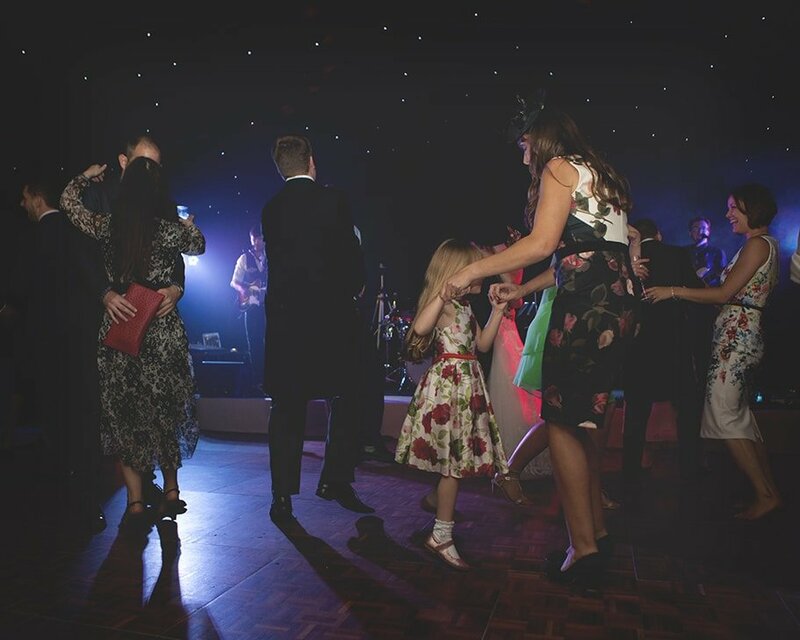 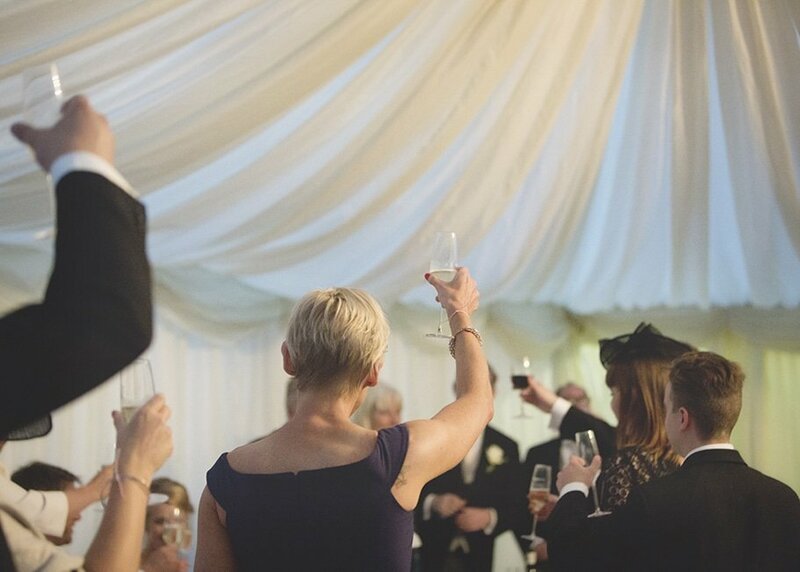 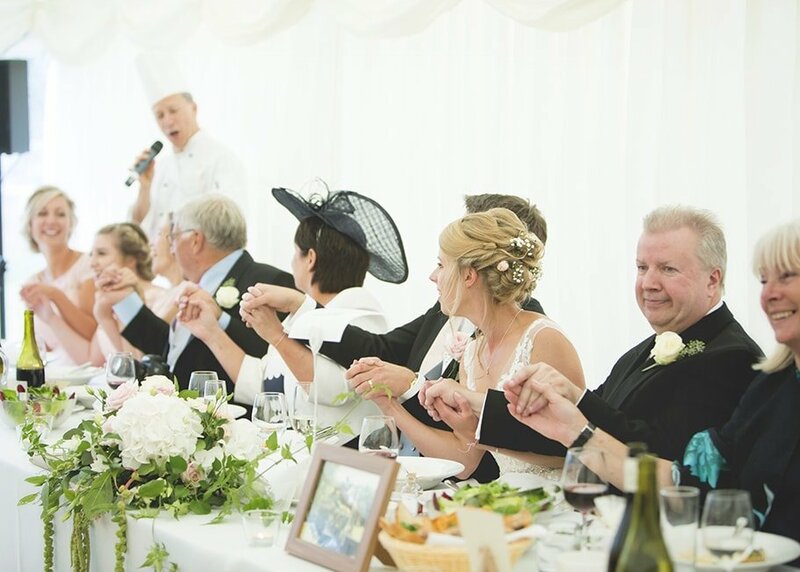 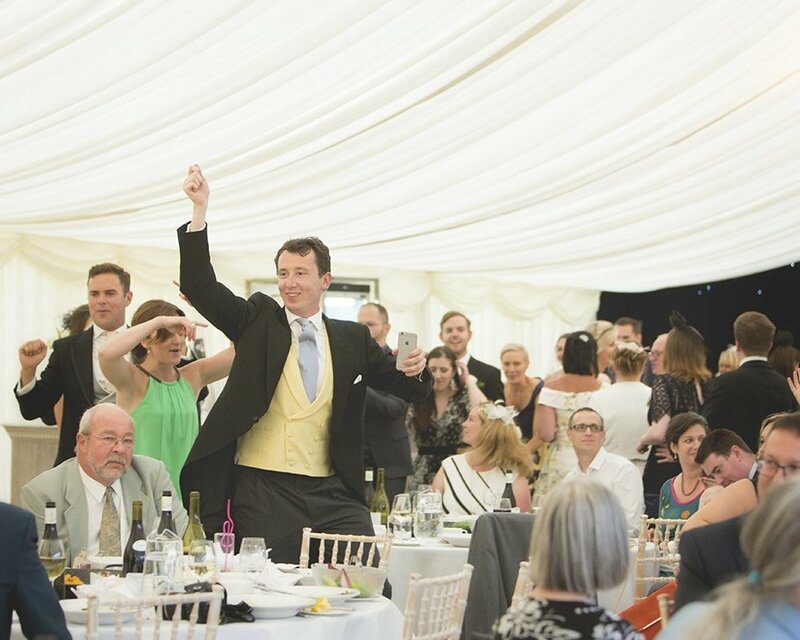 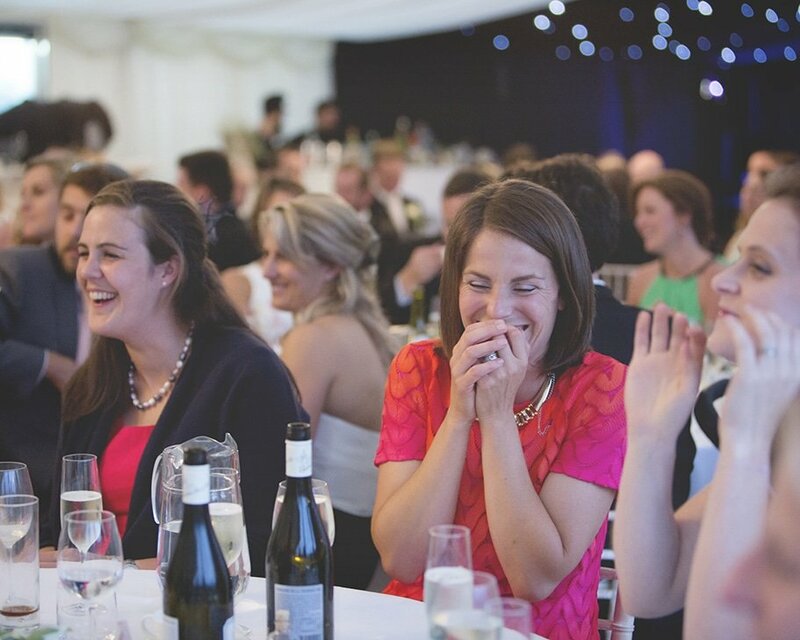 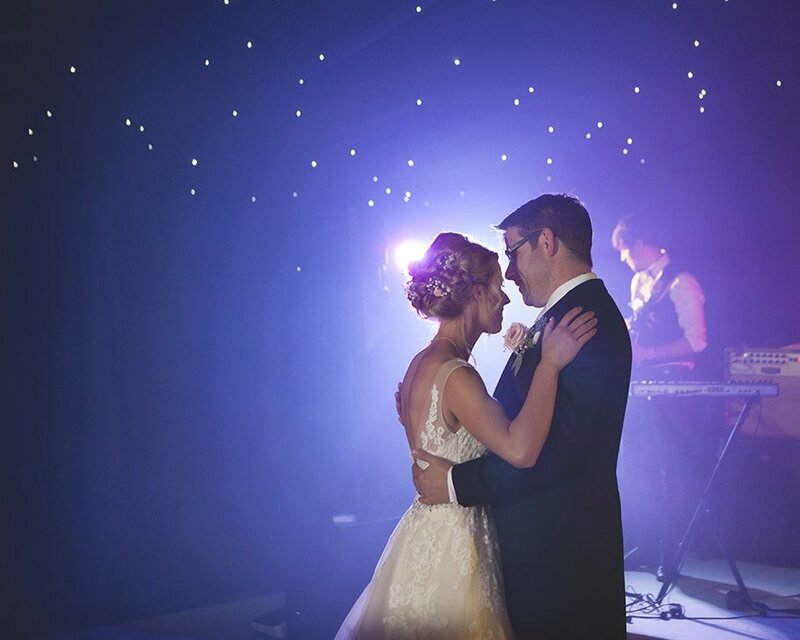 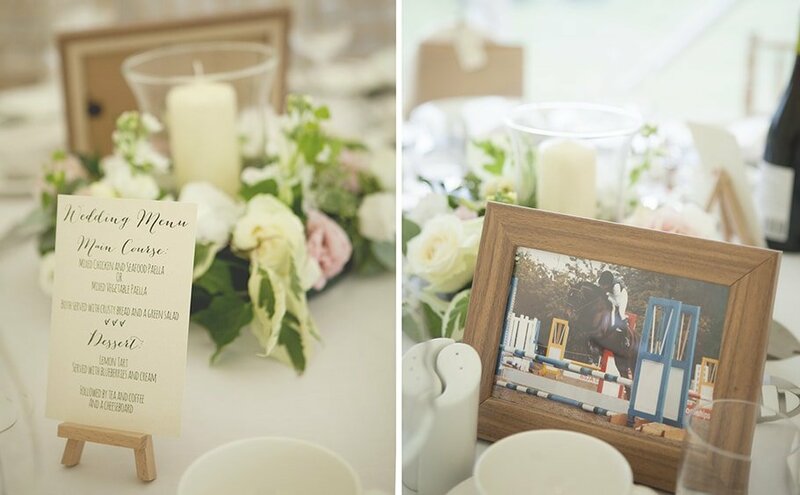 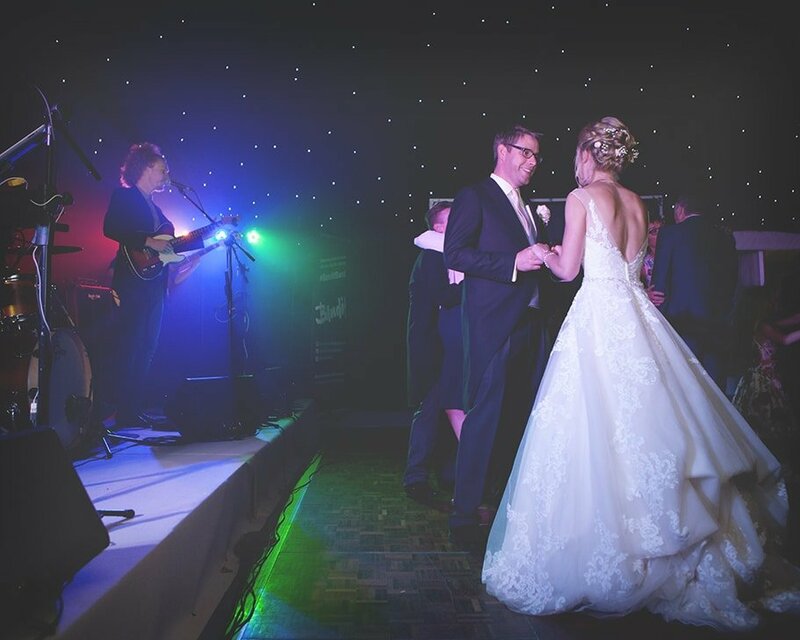 The Hertfordshire country farm wedding reception was held in a huge marquee set in the grounds of the farm and as dinner was being served an unexpected performance began to unfold. 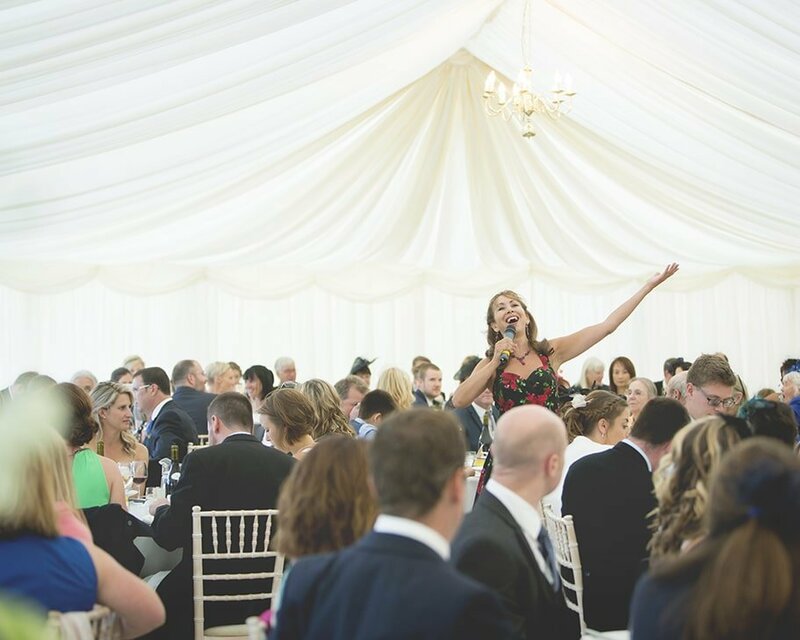 Sophie & Ed had arranged singing waiters to entertain their guest and I have to say they were fabulous. 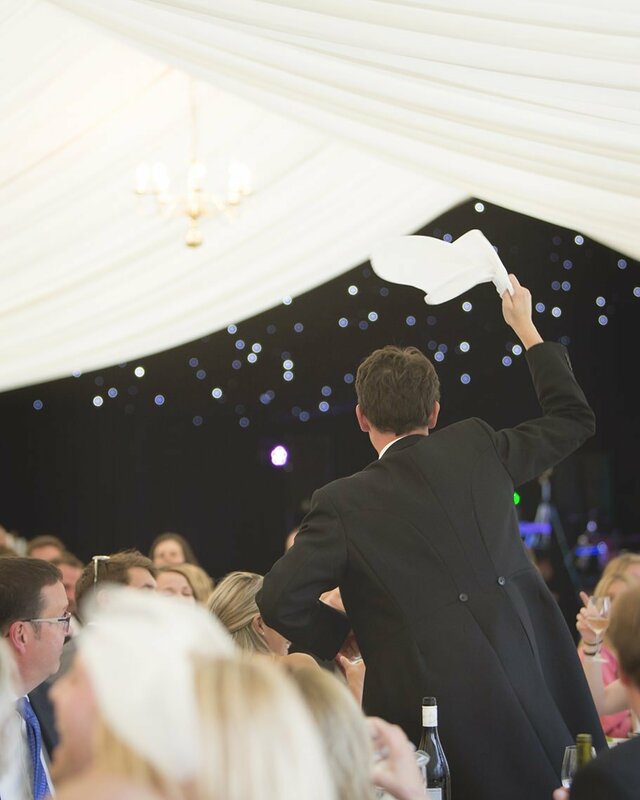 In the middle of the main course they had half of the wedding party up on their feet doing the conga around the tables. 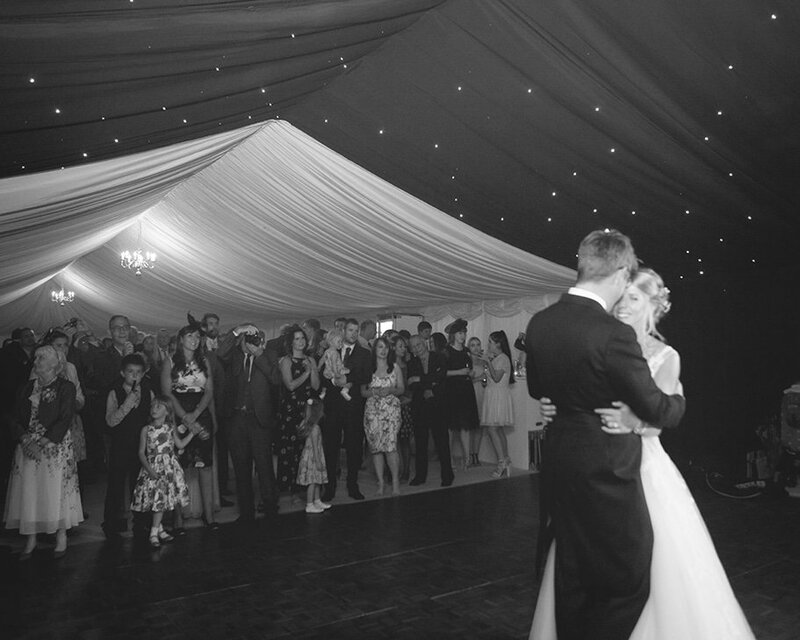 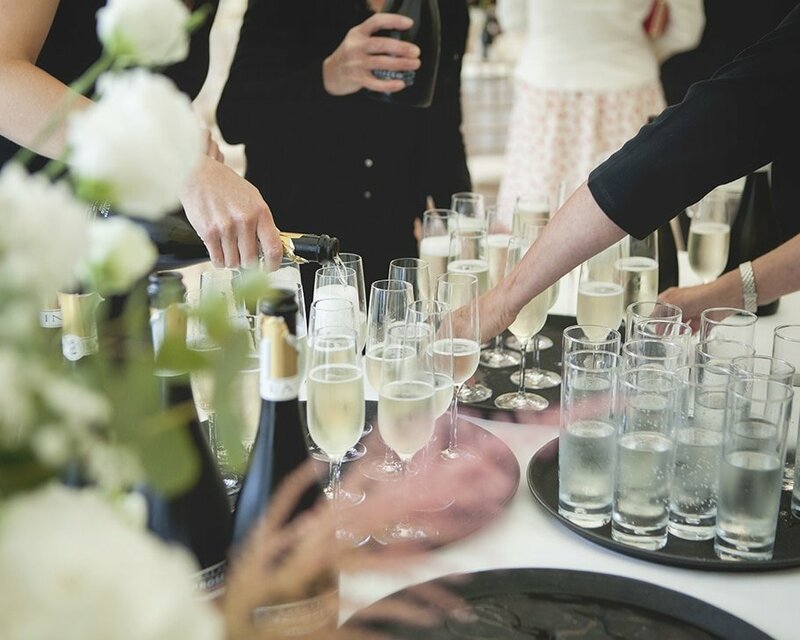 It really was the perfect surprise for their guests and got the party started early on in the evening. 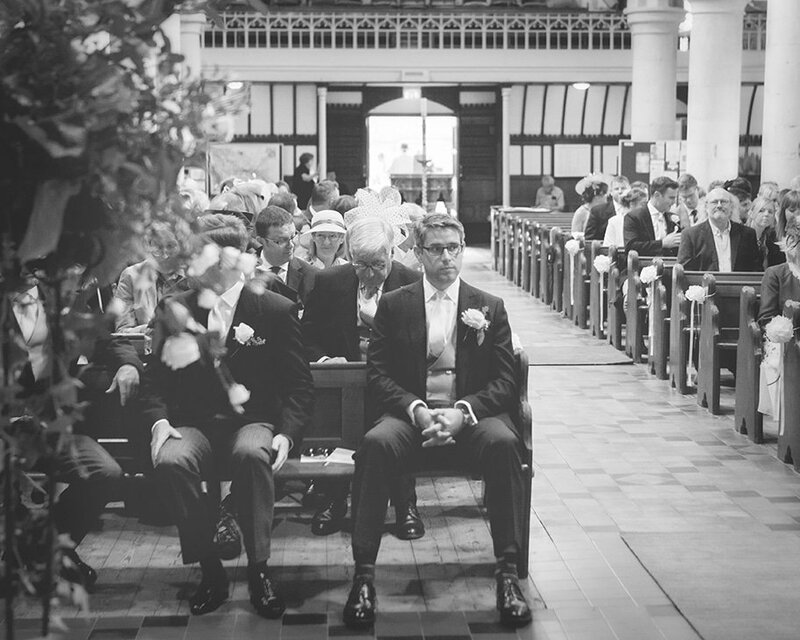 I have loved working on these images. 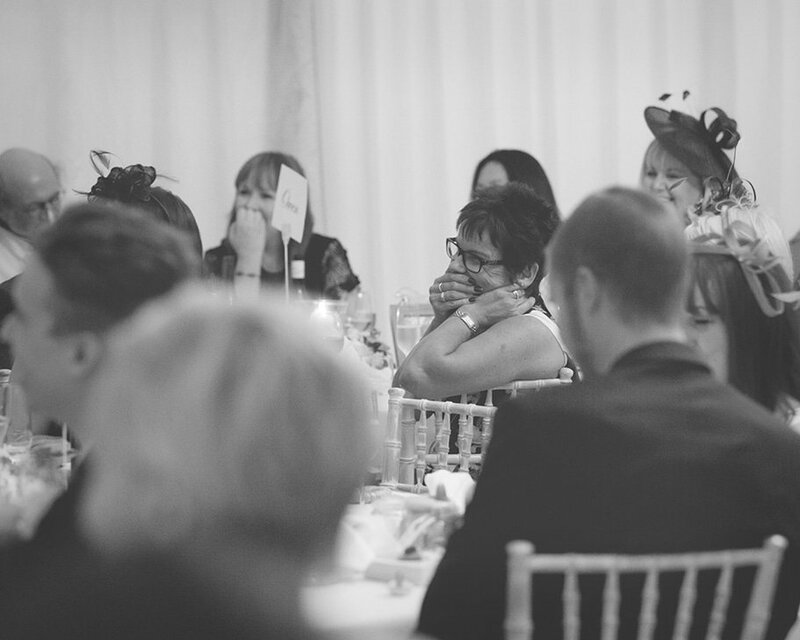 Time for tea and a chat! 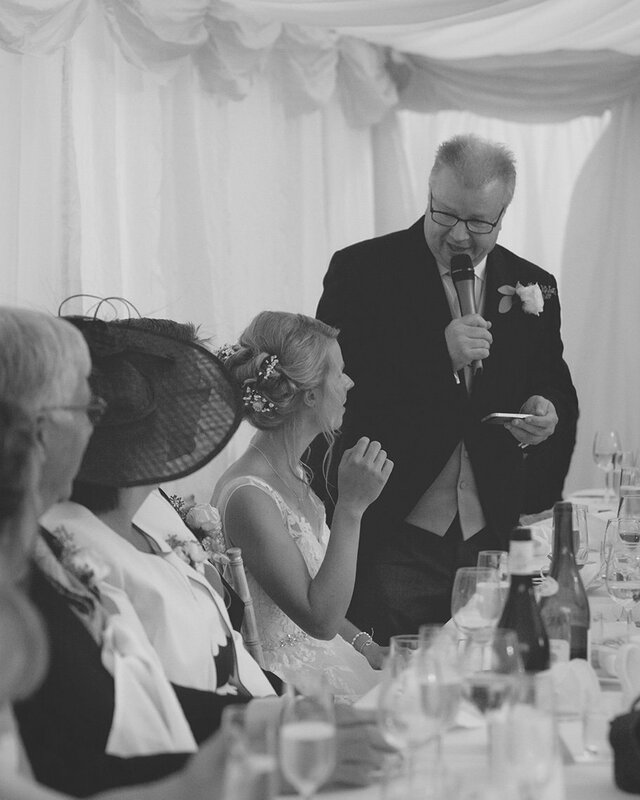 I would be happy to come to you to discuss your ideas and talk through the moments you want to capture.